Stack ‘em up! 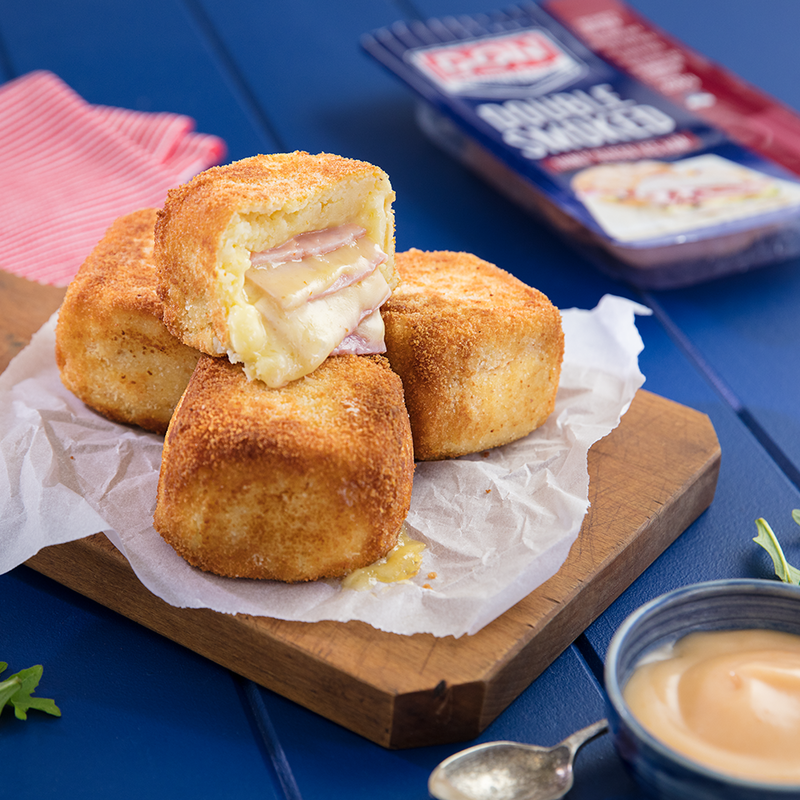 Our Ham and Cheese Mash Cubes are fun, cheesy and most importantly – DELICIOUS! Cut 2 x 2 squares of ham and cheese, ensuring they’re the same time. Layer the ham and cheese, alternating between each, until there are 12 layers in total. In a bowl, mix mashed potato, salt, pepper and 1 whisked egg until combined. Wrap mash mixture around each tower of ham and cheese to form a cube. Freeze for 2 hours. Coat in flour then whisked eggs then cover in breadcrumbs. Fry each side of the mash cube until it’s golden brown. Then back for 10 minutes at 160ºC.